"Gently undulating verse pays tribute to the children of the world…. 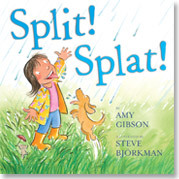 Simple but uplifting rhyming text recounts the commonalities shared in the lives of children around the world, from simple actions…to universal experiences." 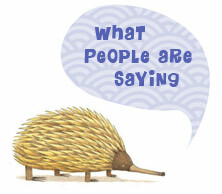 "Buoyant...playful...A cheerful book to share on rainy days." What if invitations to tea with The Queen accidentally made their way to the zoo? What's an elephant to do? Brush up on its manners first, of course. 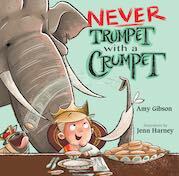 In this hilarious, tongue-in-cheek book about manners, zoo animals attempt to follow proper etiquette at the palace before their animal instinct kicks in. 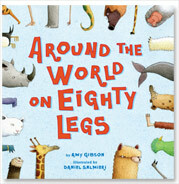 As profound as it is simple, this universal picture book celebrates people all around the world. In so many different places, in so many different ways, we do the very same things–work and play, laugh and cry, learn to read, wonder why. The lyrical story takes us around the globe from morning to night. A perfect bedtime read, this is a book about the children of the world for the children of the world. from your favorite independent bookseller, or online from Amazon or Barnes and Noble. 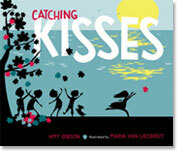 So begins this journey of the heart, as readers young and old follow a handful of kisses around the United States. From San Francisco to New Orleans to New York City, the text and stylized artwork celebrate all the ways kisses are shared. Jump in with both feet! Come romp through a rainy day in language that sings. 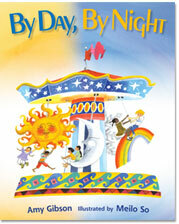 This rollicking read-aloud celebrates the joy of spring and the delight of words that make noise. Pack your bags and put on your travelin’ shoes! There’s an animal adventure waiting for you!